StimulantsFOURPLUS 4+ Caffeine+ - 100 tabl. Sport Definition Essence Kofeina - 120 tabl. 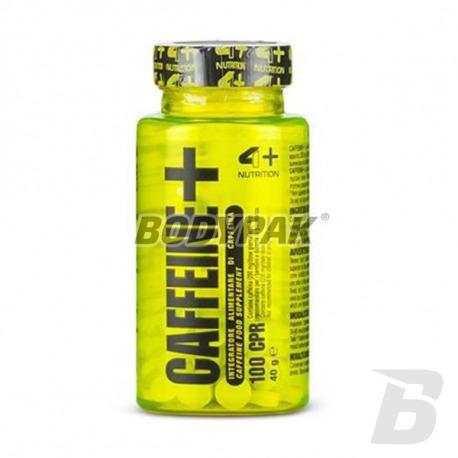 7Nutrition Caffeine Speed - 120 kaps. Caffeine belongs to the group of stimulants most commonly used - both in sports and by people with low physical activity! It improves concentration and provides a solid boost of energy, making each workout can be made of 100%, even if you have a weaker day! FOURPLUS 4+ Caffeine+ - 100 tabl. High-quality caffeine, the application of which has a positive effect on many aspects of life - among other things, allows heavier and longer workouts, adds energy and even accelerates fat burning during weight loss! 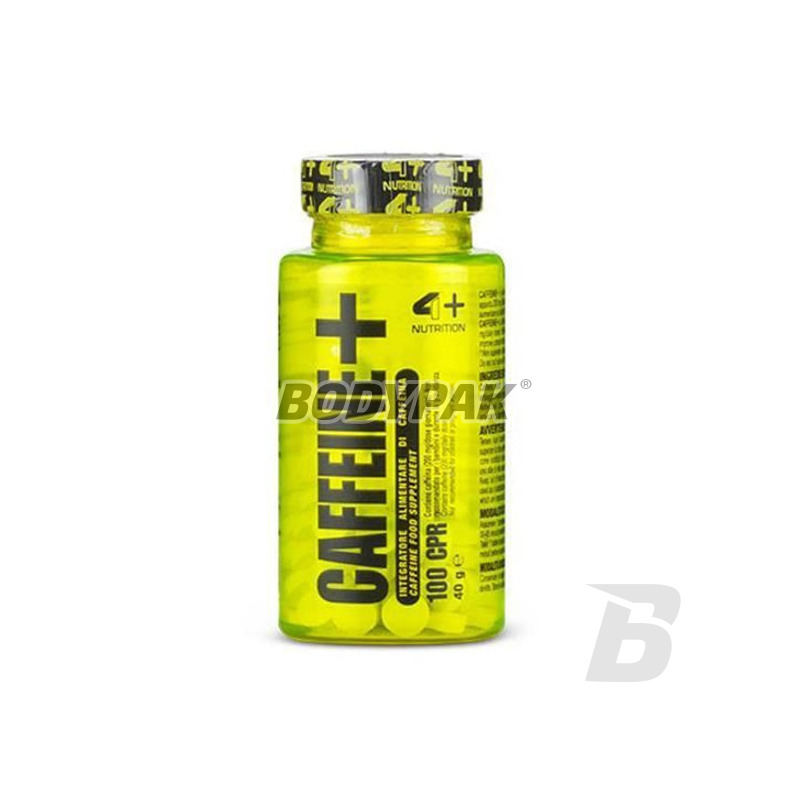 4+ CAFFEINE+ caffeine is a substance which is a multidirectional action, however, sport is mainly due to the induced by the effect of the improvement of concentration and stimulation. This is invaluable for improving the well-being during the long, grueling workouts. Caffeine also combats muscle fatigue and can increase their performance during exercise. So if you are tired after a long day and before you have a long grueling workout, you do not want to let go, use 4+ CAFFEINE + to the task. 4+ CAFFEINE + - YOU WILL BE ABLE TO EXERCISE longer and harder! It is recommended daily intake - 1 tablet per day, consume a product 1 once a day with water 30-45 minutes before training. Składniki: kofeina bezwodna; substancja wypełniająca (celuloza mikrokrystaliczna); substancje przeciwzbrylające (sole magnezowe kwasów tłuszczowych, dwutlenek krzemu). czysta kofeina.. potrzebuję ją tylko w słabsze dni - sprawdza się!